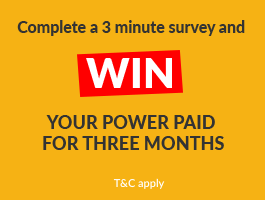 Powershop Offer - Get Guaranteed Savings & $150 Free Power Now! Our crew work hard to make Powershop the best power company ever. We supply power to all kinds of homes and businesses in New Zealand. Powershop sprung to life in 2009, backed by Meridian Energy. We focused on making shopping for electricity easy and enjoyable, and created the tools people need to understand how much power they use, giving them the control to lower their bills. It worked. Today our Wellington headquarters are bursting at the seams and our Customer Service Centre is adding vibrancy to the rural Wairarapa township of Masterton. Powershop have an innovative approach to let you take charge of your power and optimise your power spending. If you are here to compare power companies NZ wide then you'll do well to add this Powershop promo deal to your consideration set. Get $150 credit spread over your first twelve months when you join Powershop through Power Compare. Excellent Service. Good Prices. I feel in control of my power at last! I used a number of energy comparison search engines and each time Powershop came out on top. As this is my first time moving out into the big world we'll see how their prices actually compare. For a first time user, joining is extremely simple when filling out the form. I have been with Powershop since 2012. I decided to change power services when they kept on putting the price up when my friend had the same usage as myself and was paying $70.00 less than I was. I got in contact with them and they assured me that was not the case. They put me on another scheme that will lower my monthly payment, it didn't it got higher. So I moved my services. Powershop used to be great as they used to look after their customers. Amazingly cheap, great app for tracking how much you spend on power, kiwi call centre & $150 free power. What else could you want? Everything... free power, guaranteed savings, cheap pricing.